Panaya Success Center How to export Tests? Panaya lets you export testing data for Cycles, Folder or even for an entire project. Select this option to export all step data to an Excel spreadsheet. The test results are from the last run of each step. 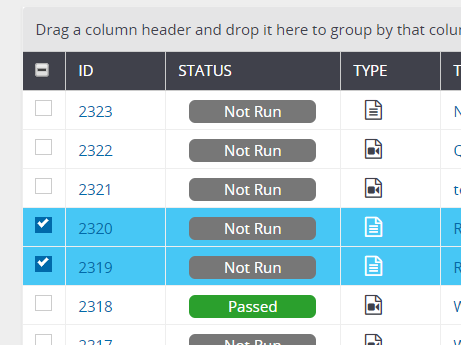 Use this option for deeper test analysis and reporting. The export output is an Excel spreadsheet where each row represents a Test Step. Select this option to export all step data and test evidence for the last run of each step in MS Word or PDF formats. This option is helpful if you need to store test results for auditing purposes. The test evidence will be included in the archived file, with a reference in the Evidence File column. 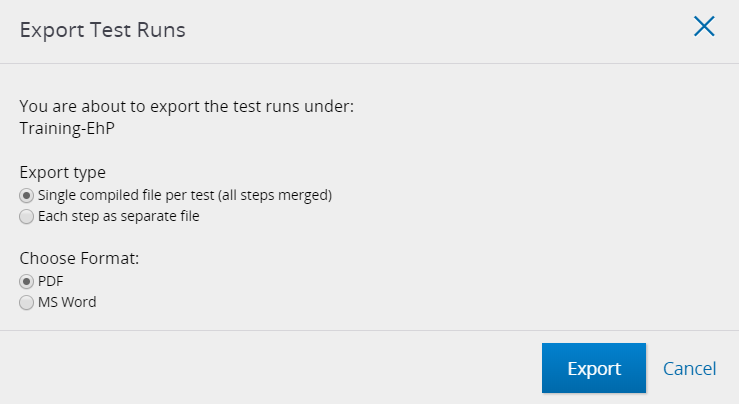 You can export a single compiled file per test where all steps are merged, or, export each step as a seperate file. 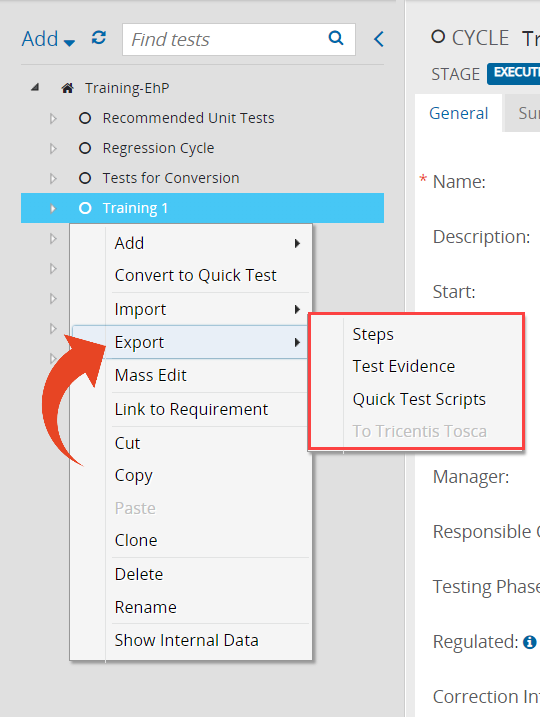 Select this option to export all test scripts of Quick Tests. Use this option if you need to generate business process documentation or user training documents. Depending on your export request you will either be able to download the file immediately, or you will be able to track the status of your request by clicking on the Request Status icon at the top right corner of the screen. We will also notify you via email once your request is complete.